Great pick of bikes! Thanks for sharing. I wanna know what’s under wrap on the lift... a Carrera GT perhaps? Is anyone bidding? 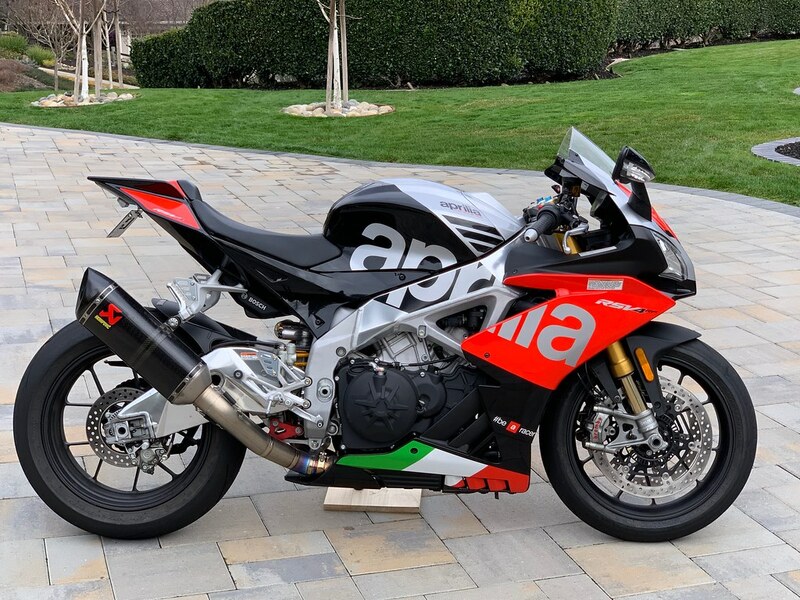 There is a Ducati Supermono up for grabs, too..
Last edited by Sherpa23; Jan 18th 2019 at 04:35 AM. I can feel your problem. So the V4R is on order and should be arriving in the next couple of months so will be thinning the herd again. (Also thinking about the new Hyper. Miss my old one!). 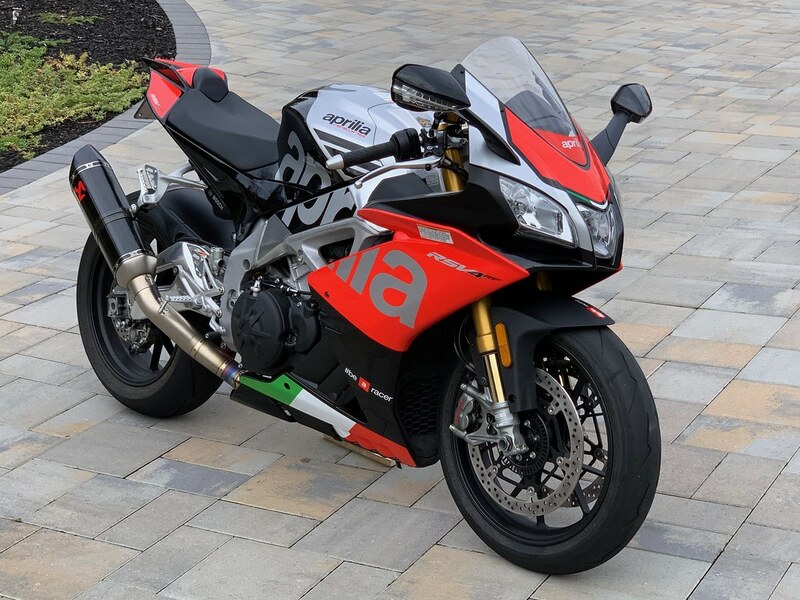 RSV4 RF will likely be going. It was an unbelievable 4 months with the bike. Amazing in every way and an itch I needed to scratch (and am glad I did), but I'm hoping the R will be next level and I'm likely going to keep the Speciale and FE. This is an '18 model with lots of warranty left. I swapped the red wheels for the black one's off the LE (these are factory wheels not painted or powder coated). 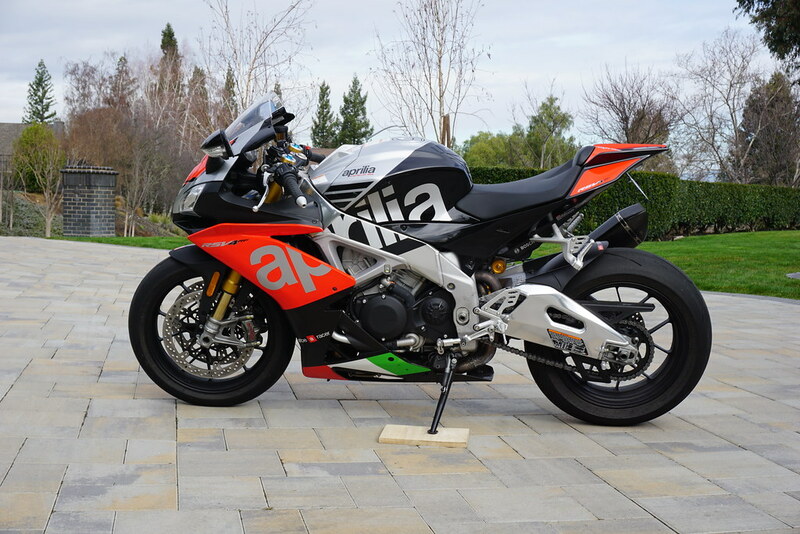 Other than the tail tidy and Akra (have the original) the bike is stock. I also have the carbon exhaust hanger. Just haven't had a chance to take off the passenger pegs. About 2,300 miles on the clock and perfect! As always, hoping to sell this one to a forum member at a good discount. First $15.5K takes it. 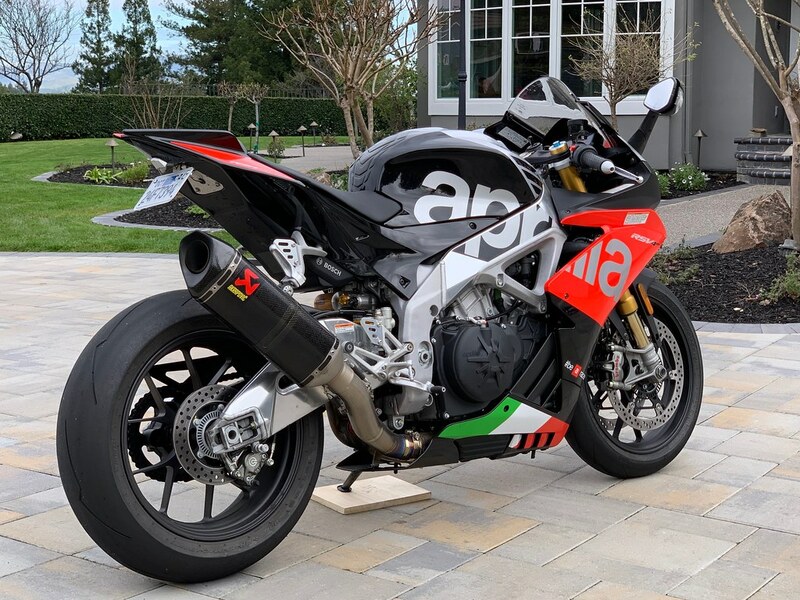 Those RF’s are sweet bikes. Some new additions arriving soon. May need to start a new thread. Hopefully some of you are getting decent seat time this winter. Weather here in NorCal has been a downer, but I guess it's all relative. Sunshine in the forecast most of this week!! well at least I know you are Twisted! !